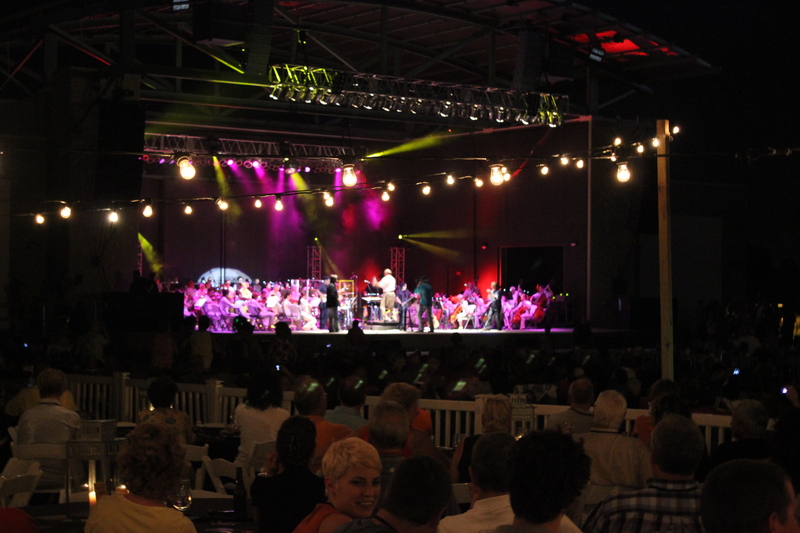 Catching a show at the Aaron Bessant Park Amphitheater is always a treat, but the event seemed extra special Saturday night, as Windborne&apos;s "Music of the Eagles" was performed by a hand-picked group of legendary rock musicians, and backed up by the Panama City POPS Orchestra. Because what&apos;s better than watching the sunset and waiting for the stars to come out while listening to Eagles music played live in an outdoor amphitheater only steps from the beach? Why, almost nothing, except for all of that backed up by a full orchestra. The truth is, the new amphitheater just across from Pier Park offers not only a great concert setting, but also great acoustics. It&apos;s a multi-million dollar amphitheater, and the shows it has been hosting since opening in spring of 2013 have been top-notch. And oh yeah, no one in the crowd of about 4,500 music fans who came out on Saturday complained about the event being free, either. In fact, VIP tickets to the concert - which were for sale - sold out. It was that kind of performance. Starting with an amazing sunset, and not ending until the band played "Tequila Sunrise" for a cheering crowd, the "Music of the Eagles" and the Aaron Bessant Park amphitheater in Panama City Beach combined to create one amazing September evening. For more info on Aaron Bessant Park, click here.